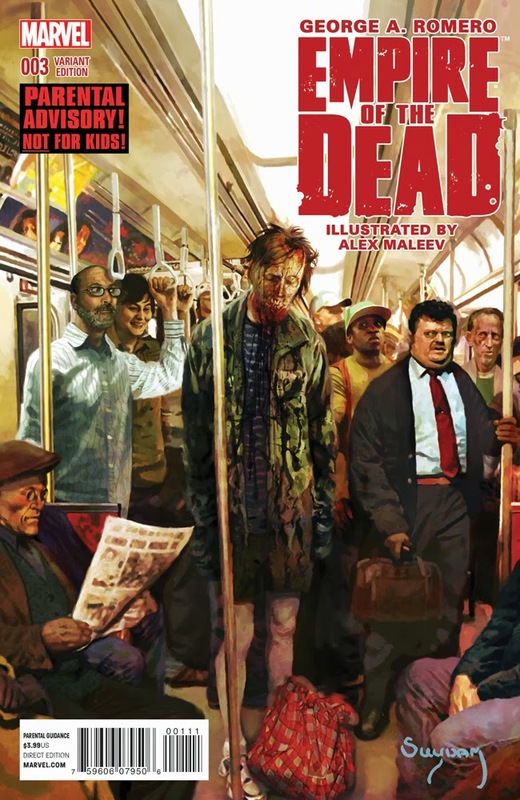 Having George A. Romero working in comics is good enough, but adding a celebrated zombie artist to the mix? Well that's more than our poor reanimated corpse brains could hope for. But it's true. 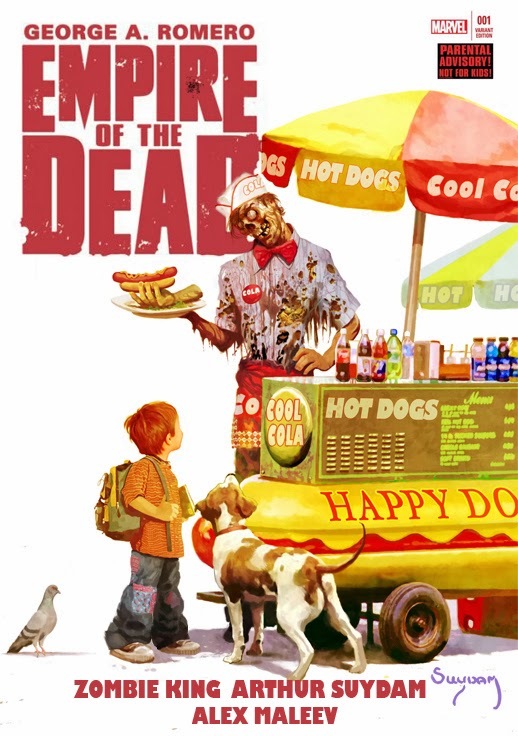 According to a press release, Romero's "Empire Of The Dead" Marvel comic is continuing its variant cover treatment for issues #2 and #3, once again with art by "Zombie King" Arthur Suydam. Fans know Suydam as the master behind zombie cover art seen in "Marvel Zombies," "Marvel Zombies vs. Army Of Darkness," "Marvel Zombies 2," "Deadpool: Merc With A Mouth," "Thor #1," the Misfits' "Land Of The Dead" single and more. So pairing with Romero (with interior art by Alex Maleev) makes this a pretty awesome zombie duo. 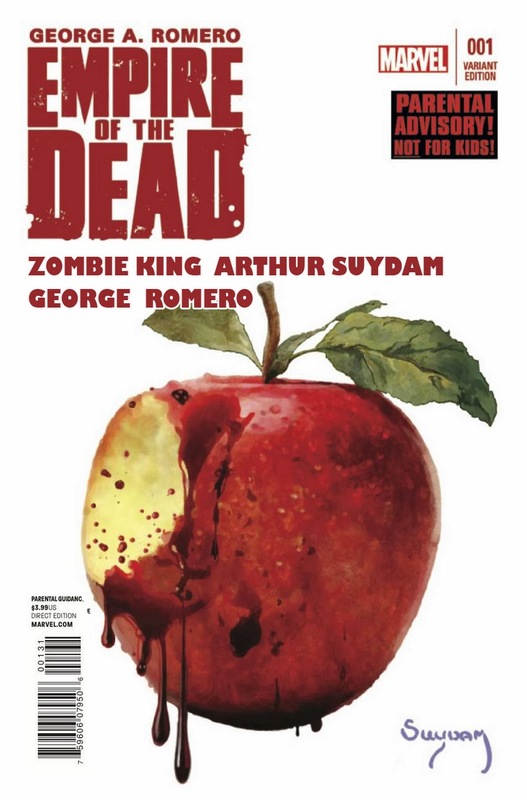 In the variant covers, Suydam will be zombifying New York City and turning the Big Apple into a rotten one. Issue #2 hits today, while #3 will be released March 26. Take a look at some of his variants for the first two issues of "Empire," along with a sneak peek at the zombie subway from #3 (after the jump).